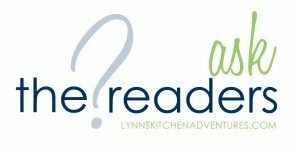 We are taking a break from my Everyday Adventures post this week for an Ask the Readers question. Today I want to talk slow cookers. We have actually talked crock pots several times for Ask the Readers questions, but today I want to talk about a specific crock pot. Have you seen this casserole crock pot? It is like a regular crock pot and yet it is not the same because it is more the shape of a 9×13 pan. It is a Crock-Pot Casserole Slow Cooker . I loved the idea of this crock pot as soon as I saw it. 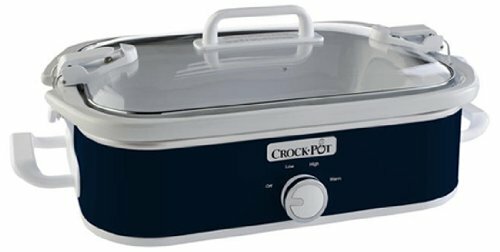 I think it would be great for lasagnas, enchiladas, and other more casserole type meals that can go in the crock pot, but would be much easier to make in a casserole pan type size. Some things just don’t work as well in the round or oval shape of most crock pots. I think it would be great for potluck dinners, church meals, and for cooking during the hot months of the year. There are also just times when it would be much easier to cook a casserole in a crock pot like this than in the oven. I am also thinking that when it comes to how it looks, many things would look more like the regular version when cooked in this shape of a crock pot. Let’s face it crock pot food is not usually pretty food. I think this might help with the presentation some. I am thinking of buying one, but am wondering if it sounds nicer than it actually is to use. I am curious how well they really work when it comes to cooking evenly, etc. Which leads me to my Ask the Readers question. Do any of you have a Crock-Pot Casserole Slow Cooker like this? What are you thoughts? Is it worth it? I do have this and absolutely love it. I have used it for many casseroles and it works great. I just use regular casserole recipes and they turn out great. Thanks! I am glad to know that it works so well. I think I am going to have to get one! Thanks! I am glad that you like it. I think I am going to have to get one. I am glad I could help. 🙂 And when I saw it I thought the same thing. I wanted one right away. After hearing from a couple readers that love it, I am going to have to get one! I don’t have one YET but my daughter got one from my mom for her wedding and she loves it. Looking forward to the recipes you will be sharing with your new casserole slow cooker! I have one – different manufacturer – the only problem I have with it is it’s SIZE!! the one I have is just too big. I do like the idea of the rectangle dish, but do wish they would make small, medium and large versions. Could you put 2 smaller dishes in it? Then you could freeze one for later. I am definitely going to give that a try… – what I have done though, is come up with a system for freezing all the food that fits in this big crockpot. Wow, I hadn’t seen these! I use my a slow cooker at least once a week and this really intrigues me, especially since I only have one oven. But my husband isn’t eating gluten anymore so I wonder how much I’d use actually use this. Lynn, I’d love to hear what you use it for that is also gluten-free. This sounds great for Thanksgiving or feeding large groups but I don’t do that very often. I will do a follow up to this once I use it for awhile. I don’t cook a lot of baked pastas anymore, but I do some with gf pasta, so I am also curious how they will cook. I am thinking though for enchiladas or enchilada type casseroles it would work great and I like to take those to potluck type dinners because they are easy gf food that anyone likes. I will try to do a follow up post soon on it and what recipes I am finding that work in it. So when I read your email about this crock pot, I went immediately to Amazon and ordered it! I used it for the first time yesterday to make Lasagna and it worked wonderfully! I got it going a little later than planned, so I put it on High and it was ready in about 2.5-3 hours…with gluten free noodles (not pre-boiled)! Tasted just like I made it in the oven! So now I can’t wait for you to get one so you can share some wonderful recipes for it! I’m going to do the cheesy potato recipe in it (yours) that our family loves. It will be very helpful to not have to bake the potatoes when I already have something (the meat) going in the oven. Thank you!!! I already bought one too. 🙂 I have used it twice. Once of pork chops, which worked great. And also for enchiladas. The enchiladas worked well too, I just cooked them a little too long, so the texture was a little funny, but it still worked great. I think I am going to love it! I want to use it some more before I post about it, but I plan to share the things I have tried and how I have adjusted the time etc for them. So, yes there will be a follow up post. I just bought one today, couldn’t help myself! I was wondering if you think this will work with baked oatmeal? I always have to double my recipe so the size shouldn’t be an issue. I hope you enjoy it! I have wondered that too on the baked oatmeal. I am not sure on the time it would take though. I plan to try it and will share if it works. I plan to do a follow up post on what I have been making in this casserole crock pot and how I am adapting recipes for it.